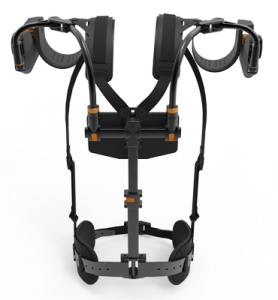 SAN DIEGO–D&K Engineering recently announced that its partner, Levitate, won CONNECT's Most Innovative Product Award for its Airframe Exoskeleton, designed with Pathway LLC. The Airframe Exoskeleton, currently being manufactured by D&K Engineering, won the Sport and Active Lifestyle category on the strength of its lightweight wearable technology, which is said to reduce fatigue and injury for workers exposed to repetitive motion. The Levitate Airframe Exoskeleton relieves upper extremity muscle and joint strain and discomfort for professionals and skilled trade workers who are exposed to repetitive elevation of the arms. The device is said to comfortably provide all–day ergonomic support, reducing muscle fatigue and supporting a healthier worker. "It's amazing to get this recognition from CONNECT and to be among the most cutting–edge companies in San Diego," said Mark Doyle, CEO of Levitate Technologies, in a press release. "What keeps us going as a team is seeing the excitement on our customers' faces when they trial the technology and realize the health benefit they can provide for their workers." D&K began production of the exoskeleton device in San Diego in December of 2016. The Airframe initially represented a design and manufacturing challenge because it must naturally mimic a wide range of potential movement sequences while maintaining smooth rotation and supporting gradual activation. The device is reported to be unique in transferring the weight of the arms from the shoulders, neck, and upper back to the core body. It easily slips on and off the body, can be worn without limiting motion, and is comfortable enough to be worn all day. D&K Engineering (www.dkengineering.com) reported that it expects to ship thousands of Airframes in 2018 to Levitate's customers, which include BMW Manufacturing and John Deere. "We're thrilled the Levitate team was recognized by CONNECT for their entrepreneurial spirit and commitment to innovation," said Scott Dennis, CEO of D&K Engineering. "It's tremendously fulfilling for us to help take the Airframe from concept to completion and help improve the day–to–day health of the hundreds of thousands of workers."